San Juan Bautista is just 30 minutes south of San Jose, California. San Juan is a "real" western town and the perfect setting for our Chirstmas running events. Bring the whole family and enjoy our pre Christmas events. Everybody gets a Santa Hat and all finishers get a medal. 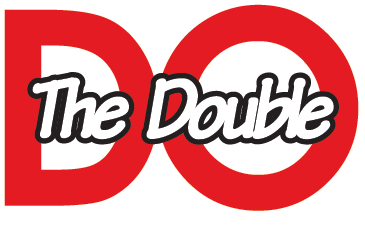 "Double Racing®, Double for short, is a sport consisting of two-stage running events. Participants first run the longer stage, take a halftime break and then run the second stage. Times are combined for scoring. Participants must complete both stages to get a time. The second stage starts 1 hour 45 minutes (restart) after the start of first leg. ​Additionally there will be two open races, the UjENA 10K and UjENA 5K Run/Walk. This will be a fun Christmas event. All participants will be given a Santa Hat and a Long Sleeve shirt. "I loved everything about this race," says Dana Gonzales. "Kudos to the double team for organizing such a well-run fun and unique event which is a breath of fresh air to the running community," says Bertrand Newson. One of the hightlights of the Christmas Double Racing Festrival is the Kids Cup Double. For kids 13 and under. Each kid gets a shirt and all finishers get a medal. The fastest boy and girl will be presented with a special trophy. Christmas Double Road Race benefits the American Red Cross! Your entry fee covers: Official long sleeve race t-shirt, special tote bag. entry into the Halftime Recovery Zone, new medal for all finishers. Our San Juan courses all start at the Mission and the 10K course runs through the historical section of town. Then the course goes out to the country roads. They are fast certified courses. Pefect courses to set PR's.